ICIS, the leading provider of pricing and market intelligence for the global energy, chemicals and fertilizer sectors, has introduced new price assessments for the Ukrainian natural gas market, ICIS has said in a press release. The addition of price assessments on the Ukrainian market will provide additional transparency to a market that has the potential to develop into an important trading area. "Market participants in Ukraine and in other European markets are keen to see trading liquidity grow. The launch of ICIS' independent price assessments is the latest step in Ukraine’s transition from a gas transit country to a reliable trading partner that is closely integrated into EU market structures," Head of Gas & LNG at ICIS Ben Wetherall said. 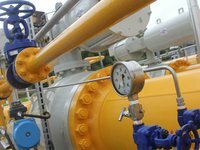 Over 40 international and domestic companies imported gas into Ukraine in the last quarter of 2018, according to ICIS data, increasing the need for robust reference prices. Executive director of NJSC Naftogaz Ukrainy Yuriy Vitrenko said on his Facebook page that the launch of the regular assessment of prices on the Ukrainian market by ICIS can be interpreted as recognizing that "in Europe, our wholesale gas market is already considered quite developed."